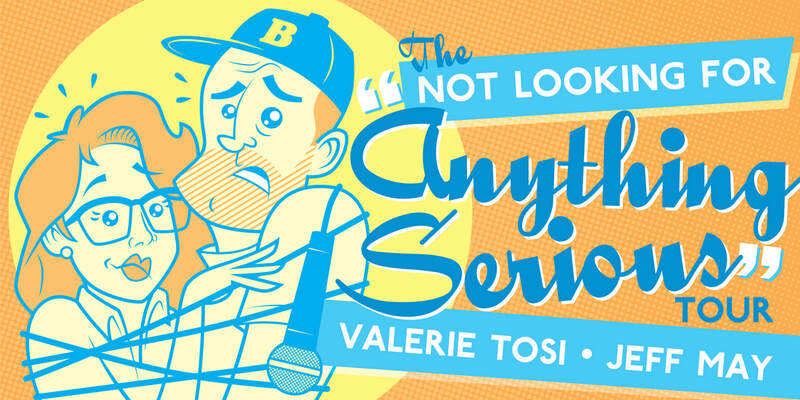 Valerie Tosi & Jeff May are two LA based comedians originally from Massachusetts. In an effort to appease fans & family, they are embarking on a week long co-headlining east coast tour that will either result in grandkids or blocking each other on social media. Combined credits include IFC, Netflix, Lifetime, Buzzfeed, SYFY, Sirius XM, Geek & Sundry, Cracked, and more.